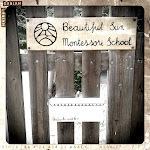 Beautiful Sun Montessori: A kind of resolution. I've missed you! Be well.